If hemorrhoids begin to cause extreme pain that makes your life difficult, it's a good idea to visit a specialist doctor like a proctologist or gastroenterologist. In some more severe cases, a specialist doctor may perform rubber band procedure, infrared coagulation, or surgery for removal of your hemorrhoids. Getting a medical exam will help your doctor recommend an effective treatment, and prevent hemorrhoids from getting worse. 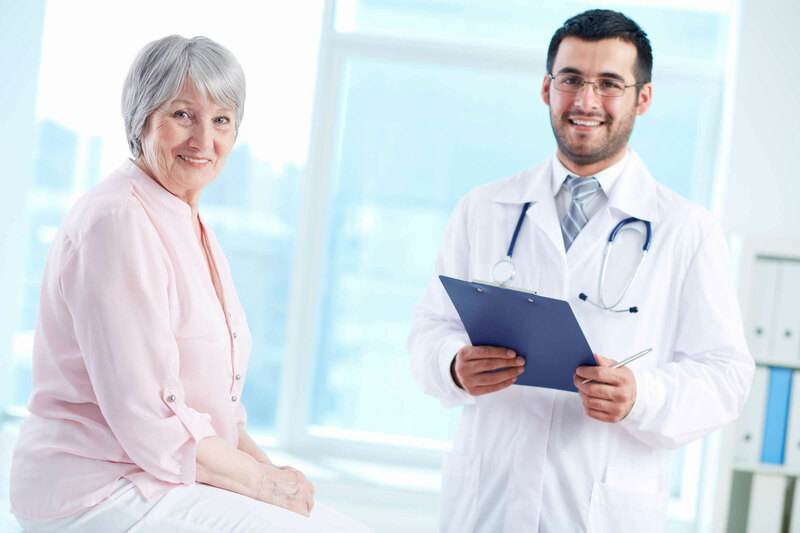 Otherwise, for less severe cases, your primary care doctor will be an excellent choice to start your diagnosis. 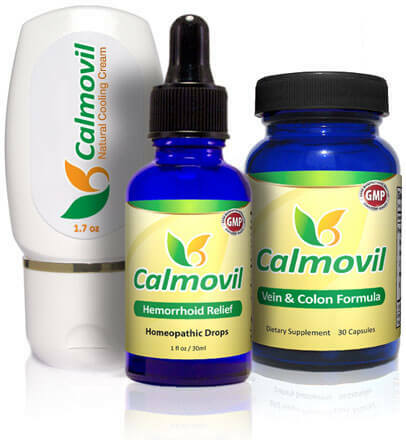 In mild and moderate cases, an improved diet and lifestyle, as well as natural Calmovil hemorrhoid relief products, can help you to relieve their symptoms. 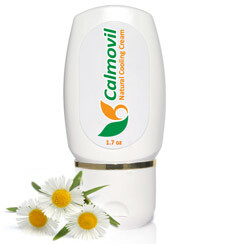 Calmovil products help you to reduce the pain as well as to cure the inflammation. They support healthy blood vessels and restore normal blood flow to the rectal veins. 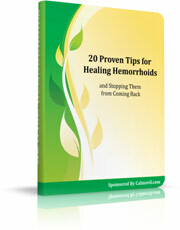 In this eBook, you'll learn 20 key tips to stop hemorrhoids for good. These tips cover hygiene, exercise, pain reduction, diet, and what to do during flare-ups. This valuable eBook is a lesson on simple lifestyle changes. If you use our products diligently and follow the tips in our eBook, you will notice a remarkable improvement within several days. We want to make our customers happy and healthy, and that's why we offer a 60-day money back guarantee. Our promise is simple: If you don't see an improvement, we do not want your money! Product safety is our #1 priority. 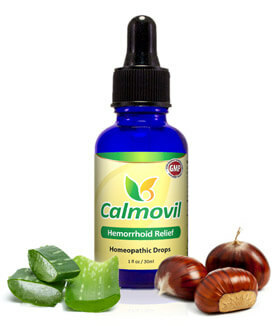 Calmovil™ products contain only natural herb and plant extracts that are generally considered safe. Our customers have been using Calmovil products for many years, and so far no adverse events (side effects) have been reported. As with other supplements you should not use Calmovil products while nursing or pregnant because the effects on fetus have not been determined. You should not use Calmovil Vein & Colon formula while on blood thinning medication or when suffering from a bleeding disorder. 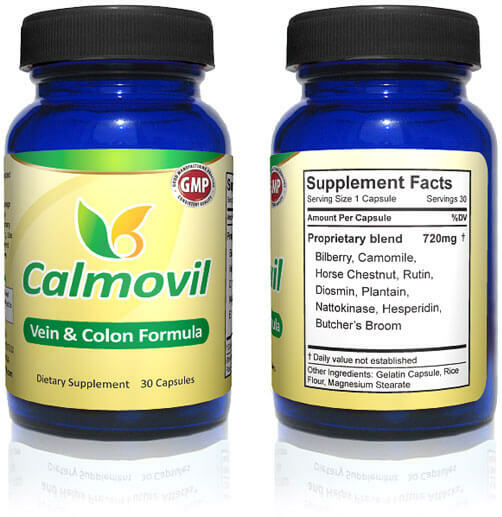 Calmovil Vein & Colon Formula is an herbal supplement that contains only natural ingredients from herbs, plants, and trees. Most other supplements contain bioflavonoids only in very small amounts. You would need to take a large number of capsules to get the proper benefit. In only one capsule, Calmovil supplement delivers a powerful dose of 240 mg of pure Diosmin, hesperidin, and rutin bioflavonoid blend. 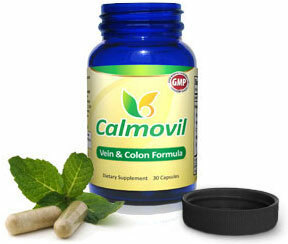 Calmovil supplement is the only product that contains Nattokinase enzyme, ensuring proper blood flow.